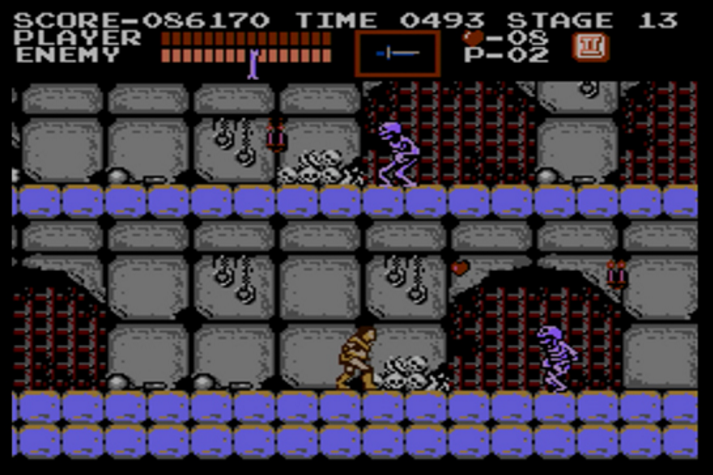 There is something strangely ironic about returning to 1986’s Castlevania for the game’s 30th anniversary: picking the title up on the 3DS Virtual Console feels more like I myself am waking the dead as opposed to taking them on. If this sounds more like a eulogy than a look back, that might be because it pretty much is. By merits of being a franchise held in the grasp of publisher Konami, Castlevania today exists more as a nostalgic flavor added to Japanese gambling machines than one of the building blocks of gaming’s golden age. Whether Konami wants to admit it or not though, Castlevania is indeed a foundation of gaming history and deserves a proper acknowledgement. Like many games of the NES era, in order to understand Castlevania, you’re going to have to read the manual. 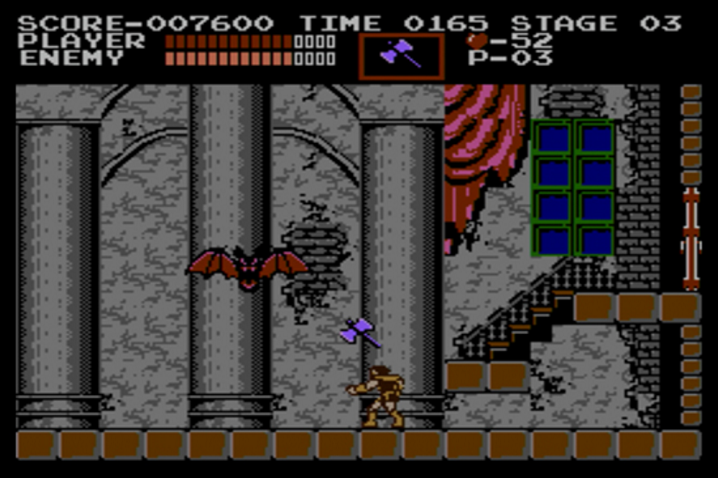 The player is put in the boots of hunter Simon Belmont and given a simple task: enter the large castle of Count Dracula and take down the master of the night himself. While future games would flesh out what exactly Simon’s issue with Dracula was, at this point things like clandestine family drama wasn’t needed. 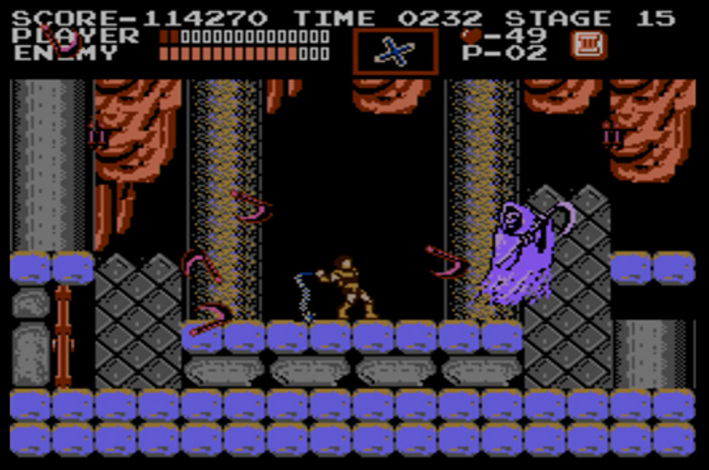 Castlevania wisely trusts the player to understand the elements at play, throwing just about every monster of classic horror shows up to stand between you and what could easily be called the most iconic monster of all time. Horror trappings form the backbone of Dracula’s Castle. Very rarely is the player given any sense of expectation as monsters are capable of coming from all directions and with patterns that could not be truly committed to memory. Ghosts can appear from behind as Imps drop from higher platforms all at once, and the unprepared can be stunned in their tracks. Additional weapons could be obtained, but only one at a time and the drops were also unpredictable. More often than not, the player could only trust on the whip Simon carried in with him. Bosses were even more so tricky. The game had no shame throwing the best it could out. A pair of mummies would be waiting at the end of a boxed off corridor at one point while Queen Medusa lurks in a passing statue. In what might be the most frustrating, Frankenstein’s monster is reawakened alongside a fireball throwing Igor – and of course Igor is indestructible. The castle held all the power, not the players. Castlevania leaned so hard into its horror roots, fake names referring to classic horror actors like Bela Lugosi and Christopher Lee are hidden in the credits. Yet with all of that leaning into horror, it would be difficult to classify Castlevania as a horror game. It’s obviously accepted as a platformer, but the key to this combining with the horror tropes is that the only way to survive Castlevania is to press on ahead. From the moment the opening clip of Simon marching into the castle, the point is clear: progress and succeed. Hesitate and you’re dead. This is reinforced with the first boss battle against the Phantom Bat. In my return playthrough, I found myself attempting to strategically place myself first on the top platform to lure the Bat to my location and just let him have it. The Bat was much smarter than me, however. It took several attempts to actually realize the key to defeating him, and pretty much all of the bosses, was to keep in motion. Even progressing from level to level is unceremonious. Where other games would have transition screens, levels simply slide the screen and the game continues. The only reprieve is after the defeat of a boss, in which only a map of the castle is shown indicating your closeness to Dracula. You know, in case you forgot why you were here. This driving need to move forward helps set Castlevania apart from its competition. If the key to success in Super Mario Bros. is timing and Mega Man is strategy, then Castlevania is all about perseverance. Despite the horror roots, fear is not an option. It is also this very simple implementation of “try, try again” that ended up informing many classic games of the era, whether consciously or not. You can even see it in games of today in games like the Souls series and games like Salt and Sanctuary. Ironically, it can also be found in many platformers found on mobile as well, so you can thank Simon Belmont next time you get stuck on a level while on your bathroom break. Is there a future ahead for this venerated franchise? Unfortunately, for the time being, it seems Konami is content to just leverage the name recognition for other products than put a new title into development. Not all hope is lost, however. In 2015 one of the biggest names involved with the franchise, Koji Igarashi, put up a KickStarter for an independently produced spiritual successor to the series called Bloodstained: Ritual of the Night. The game has been fully funded and found publishing; and is on track to be released in the first half of 2018. With the booming popularity of NES/SNES inspired indie-titles, I also would not be shocked to see others try to create a spiritual revival in the same vein of games like Axiom Verge, Undertale, and Shovel Knight. Some internal Konami employees have indicated that the company doesn’t want to abandon traditional development also, but there doesn’t seem to be a lot of traction there. However, Castlevania is still available to be played with a little bit of effort. As it stands, the game is available on the Nintendo eShop for both Wii U and Nintendo 3DS, and is still available on the original Wii’s shop if you want to dust that off. 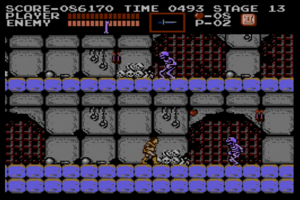 Additionally, the upcoming NES mini will include both Castlevania and Castlevania II. The game is a simple 18 levels that can be consumed over a couple of days and I highly recommend it, especially if you need a little bit of creepy but a whole lot of determination this time of the year. Rest in peace, Castlevania. Hopefully we won’t have to wait another hundred years to see you rise again. Previous ArticleTV Review: Supernatural 12x01 "Keep Calm and Carry On"